We want to help our customers be financially confident and achieve their ambitions. To deliver on this promise, we’ve embarked on a journey to push the boundaries of banking and make continuous improvements in how we work. 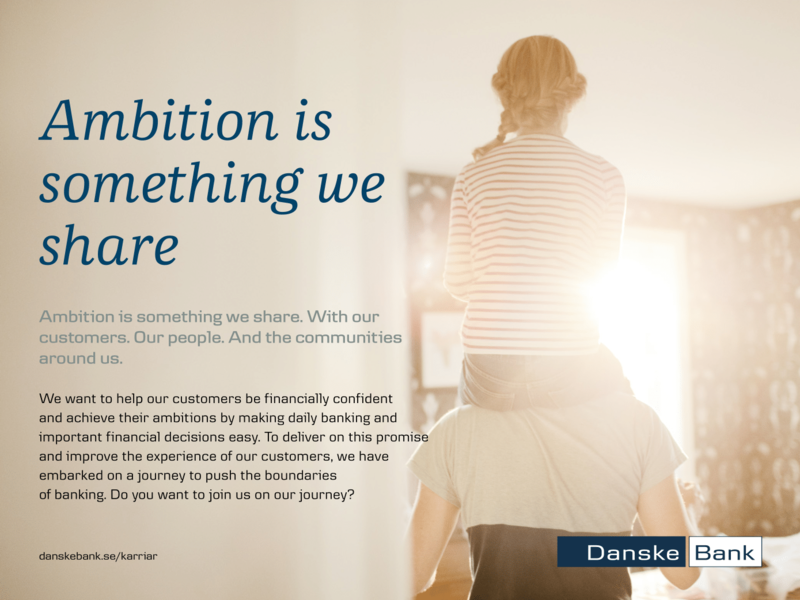 You’ll become part of a challenger bank on the Swedish market, with a strong ambition to grow. We’re a community of 1,500 people who together are building an even more innovative, agile and inclusive culture. This is a culture where we see change as an opportunity to develop and grow, and curiosity and drive is rewarded. With leaders who inspire you to succeed. And with a strong dedication to working together to reach our common goals. Now’s the time to join.